Thanks the invention of smartphones Brides now have many amateur photographers present at their wedding day festivities. It goes without saying that there is still a role for a professional photographer at your wedding but I would suggest actively encouraging your guests to pick up their phones and start Instagramming their day!. Some of the cons are obvious - for example unflattering camera angles and not being able to police photos yourself before they hit social media. In my opinion the pros massively outweigh these minor details. 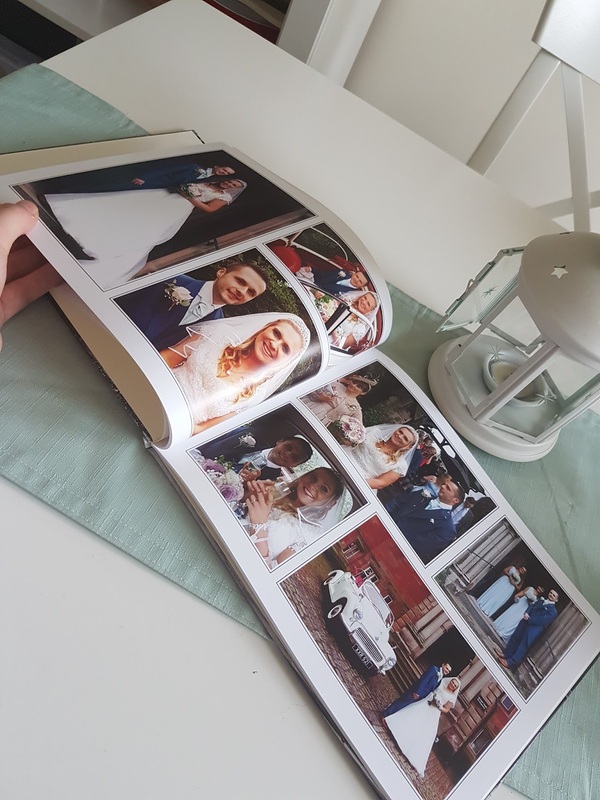 During your wedding day you are bound to be busy mingling with family and friends and these photos help to capture the essence of the day as it unfolds around you. It is lovely to see shots of children playing, friends dancing and families enjoying themselves whilst reflecting on your big day. 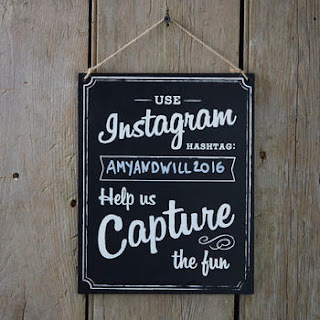 By asking your guests to hashtag their photos on Instagram it also enables you to view pictures taken by multiple guests at the same time making an easily accessible collection. You can even advertise a hashtag for your guests to use on your big day. 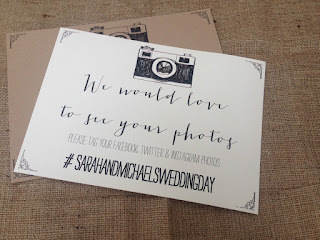 At our wedding we used a sign on an easel but you may think of including this on your invitation or at the bottom of your order of the day cards. We decided to go one step further and encourage our guests to use their smartphones at our DIY photobooth. If you like the idea of a booth but don't want to added expense then this is a simple way to save money. We bought an old vintage suitcase on eBay and stocked it full of fancy dress items. 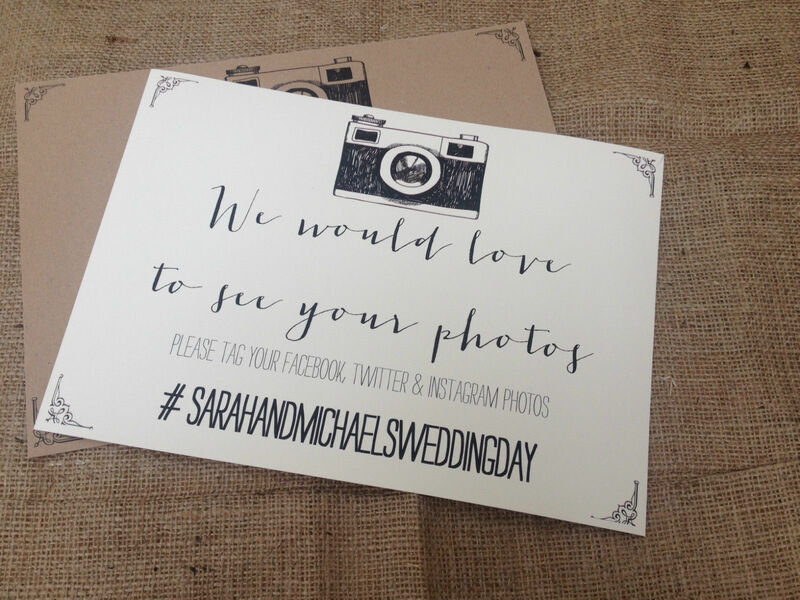 We also bought some handheld signs on e-bay which we put together ourselves. This went down an absolute treat with our guests and despite our worries that we might not have many photos because we didn't hire a photographer we saw plenty online the following morning! What can I do with my Instagram pictures? When it comes to putting all these snaps to good use there are lots of different ideas. The most obvious of which is to include them in an album. I collected lots of photos taken by our friends which were posted on Facebook and Instagram and created a photobook. 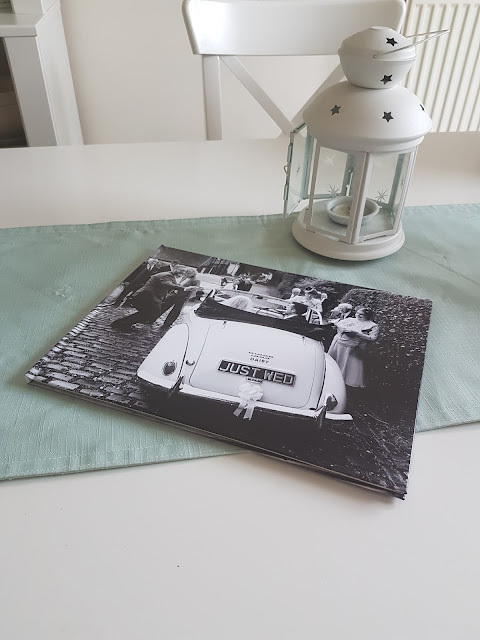 I used Asda's Photobook service and was really impressed. 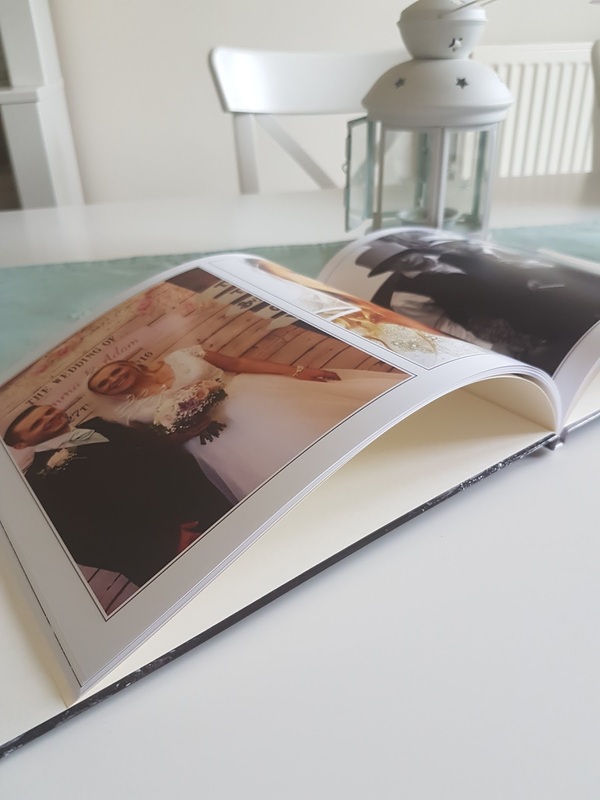 They have a wide range of different finishes that you can you for - soft cover, hard back etc and different paper types. I went for the hardback A4 book which came in at £25. I received the finished product in just a couple of days. Have you decided on your thank you cards yet? 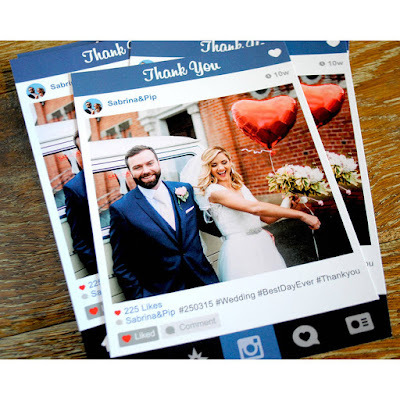 How about these modern and quirky instagram style thank you cards from Wedfest? These cards can be found on Notonthehighstreet.com and retail for £2.80 each. Another idea may to use your photos to make a phone or ipad cover. That way you get to see photos of your big day - everyday! 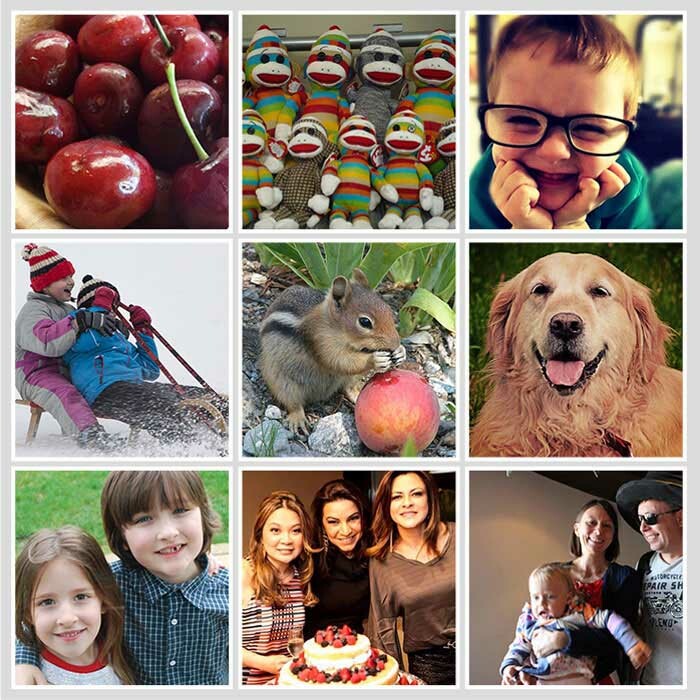 Sticky 9 are an awesome online company which turn your instagram snaps into beautiful products. You could have some of your pictures made into fridge magnets and send them to your parents as christmas presents or create a matt wall poster with multiple images which you could hang in your home. If you are looking for something a little more cuddly then you could invest in one Stitchta's personalised instagram cushions or Ottoman's. They have an array of products available for your to personalise. 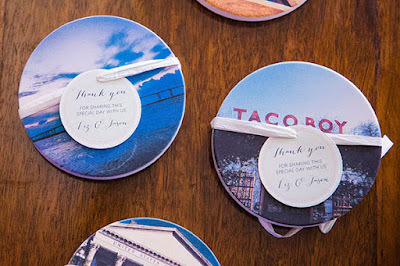 Another way to include your wedding snaps into your home decor could be to purchase some personalised coasters from Coastermatic . These stone coasters are also a great wedding favour idea! Another gift idea for Christmas could be one of Prinstagrams (Social Print Studio) compact calendars. It goes without saying that you need a pretty hefty number of photos to go for this product but the end result is awesome. This company supply a huge array of different printed products from frame prints to buttons! 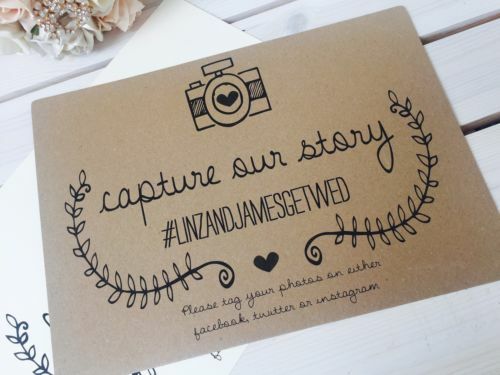 How did you incorporate social media into your wedding day? 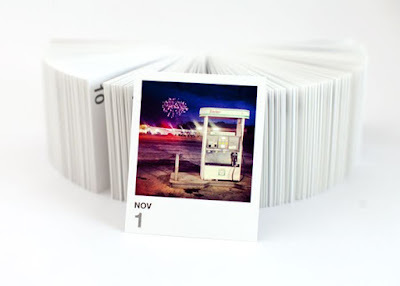 Have you come across any other great ideas on how to put your instagram pics to good use? Comment below and let us know!